Josiah Calvin McCracken was born in Lincoln, Tennessee, on March 30, 1874, to Isaac Lawrence McCracken and Ella Watson Stewart. Isaac McCracken was a scholar minister who later moved the family to Kansas, where they helped to build a Presbyterian church. Josiah McCracken entered the the University of Pennsylvania as a freshman in 1896, but at the end of his first year, he transferred to the Medical School Class of 1901. 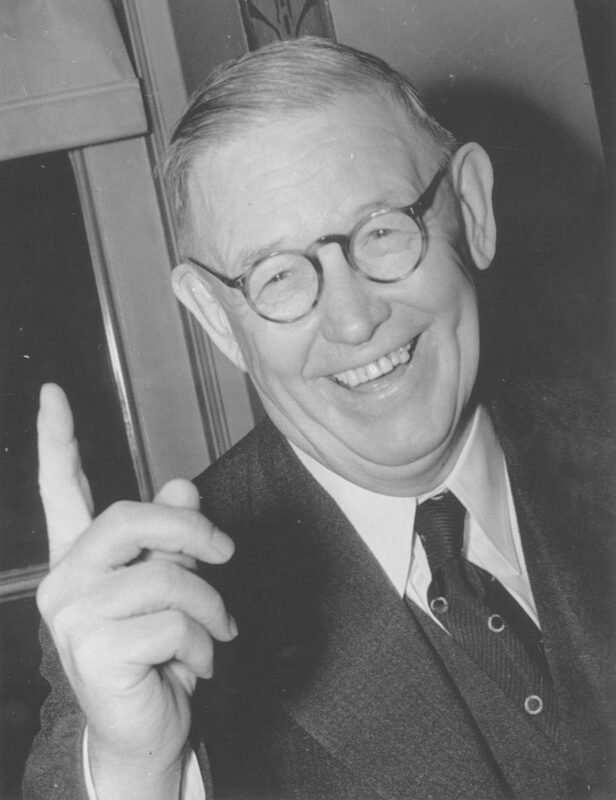 During his years at Penn, McCracken was elected president of his class and also served as president of the Christian Association for three years. He also served on the Board of Representatives of University Dormitories, as president of the Houston Club, and as an associate editor on the student newspaper, The Pennsylvanian. As a medical student, he was a member of the Stille Society and the Alpha Mu Pi Omega fraternity. McCracken enjoyed a very successful collegiate athletic career. During his year as a member of the Class of 1900, he captured firsts for his class in the shot put and hammer throw events of the freshman-sophomore games and played left guard on his freshman football team. 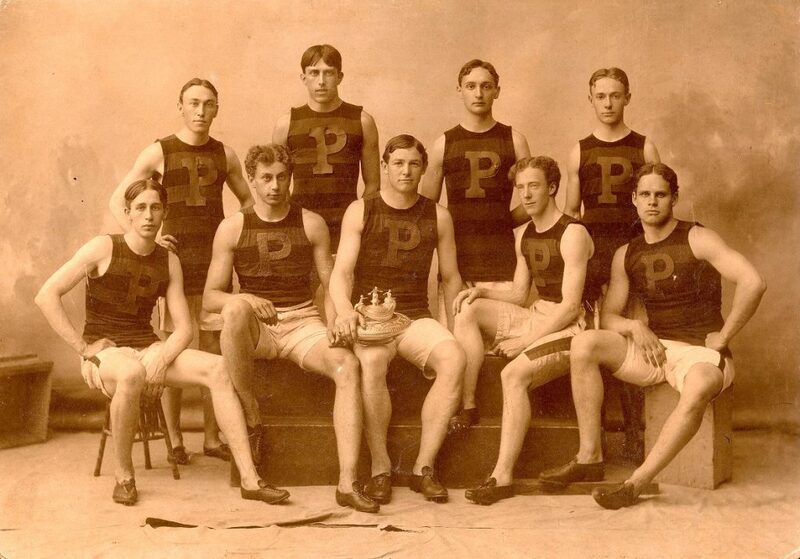 As for intercollegiate athletics, McCracken was a member of the varsity football and track teams for all five of his years at Penn, and of the gymnastics team in 1900. His prowess on the gridiron earned him a position as guard on the 1899 All-American collegiate football team. On the track, McCracken set the intercollegiate record in both the shot put and the hammer throw and was elected team captain for the 1899 season. His world record in the hammer throw helped earn him a spot on the 1900 U.S. Olympic Team. He returned from the Paris Olympics with two medals: a silver for the shot put and and a bronze for the hammer throw. Upon graduation from medical school, McCracken worked at Columbia University for two years as the general secretary of the Young Men’s Christian Association as well as an assistant surgeon in the outpatient department at St. Luke’s Hospital. He then spent a few more years of interning at the University of Pennsylvania Hospital. In early 1906, the University of Pennsylvania Christian Association sent McCracken to China for eight months to do a field study investigating the feasibility of taking over the medical department of Canton Christian College. His report was favorable, and in 1907 McCracken (along with his bride) was sent back to China by Penn’s Christian Association to establish a first-rate Christian medical school at the college in Canton. He remained in China for many years, training the Chinese doctors, many of whom had very little formal training, and improving the medical schools. During the decades that followed, McCracken worked to improve existing medical schools and to found new medical schools. He served as president of the University Medical School in Canton from 1907 to 1913, and then as dean of the new Pennsylvania Medical School of St. John’s University in Shanghai from 1914 to 1942. Dr. McCracken became quite famous in China; without his effort it is possible that many thousands of Chinese would have died due to antiquated medical procedures and lack of adequate care. During his thirty-six years in China, McCracken also represented the Christian Association of China, serving as its president for three years. When World War II broke out in the east and China became overrun by the Japanese, and Dr. McCracken and his wife were deported to the United States in June of 1942. Upon his return to America, Dr. McCracken took the position as chief resident physician at the Pennsylvania Hospital in Philadelphia. He returned to war-torn China in 1946 serving as dean of St. John’s Medical School for one more year. After his retirement McCracken continued to raise funds for the hospital and to assist the students and staff of the school until its takeover by the Communist government in 1952; he remained an invaluable mentor for graduates of the school who lived in the United States until his death. During his long and illustrious career, Dr. McCracken was bequeathed numerous honors and awards as well as being a member of many prestigious institutions. Among his most notable memberships include the American College of Surgeons, the Christian Association of Philadelphia, and the University Club. He was awarded numerous academic prizes including an honorary degree from Phi Beta Kappa, the Alumni Award of Merit, the Distinguished Senior Alumnus Award, and an honorary Doctorate of Science from the University of Pennsylvania. Dr. Josiah McCracken died in Chestnut Hill, Pennsylvania, on February 15th, 1962, at the age of 87.